Jackson Beal scored the Marshals first run in the top of the fifth on their way to a 6-2 win over Hickman County. 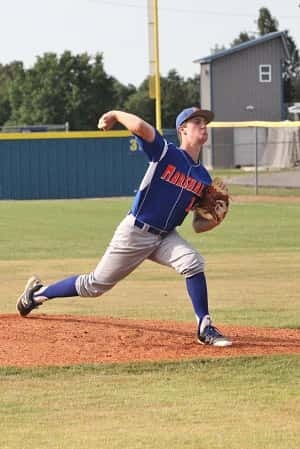 With their 6-2 win over Hickman County in the Region 1 Tournament Monday, the Marshals advance to play Graves County, a 4-1 winner over Paducah Tilghman, in tonight’s 7:30 semi-final game. Calloway County, a 9-0 winner over Carlisle County will play McCracken County who beat Ballard Memorial 11-0, in the 5:00 semi-final game at Graves County High School. Griffen Ives struck out 12 batters in his six inning on the mound. Scoreless through the first three innings after the Marshals left two stranded on base in the first inning and three in the third, Hickman County got on the board first on a solo home run by Grant Davis. The Marshals tied the game in the top of the fifth, when Jackson Beal scored on a passed ball by the Falcon catcher, after initially getting on base by out-running the throw to first. Three more runs scored for the Marshals in the top of the sixth that began with a walk by Dawson Smothers and single by Cameron Ives. Runs were scored on a two run single by Lance Dyke and single by Beal. Hickman County added a run in the bottom of the sixth to cut the Marshals lead to 4-2, a lead they would stretch back out by scoring two runs in their final trip to the plate on a ground ball fielders choice and double by Dyke. Griffen Ives pitched a solid six innings in the win, allowing five hits, two runs and striking out 12. Tonight’s game against Graves County will be their second meeting of the season. 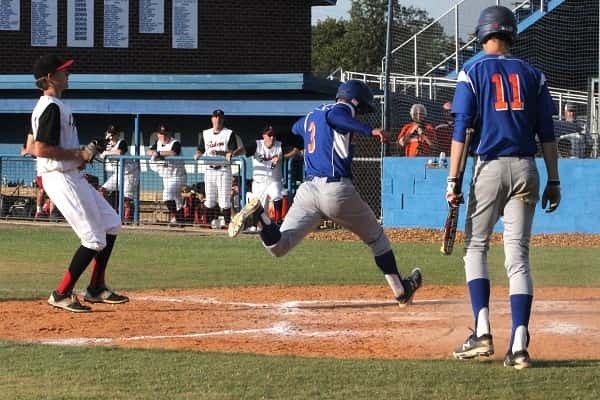 The Marshals beat the Eagles 3-2 on May 13th in the Dreammaker Classic.